Mattresses might not have been sanitized, state officials said. The state is asking for help from residents to track down unauthorized sales by a New York mattress company accused of selling unsterilized mattresses in Connecticut. 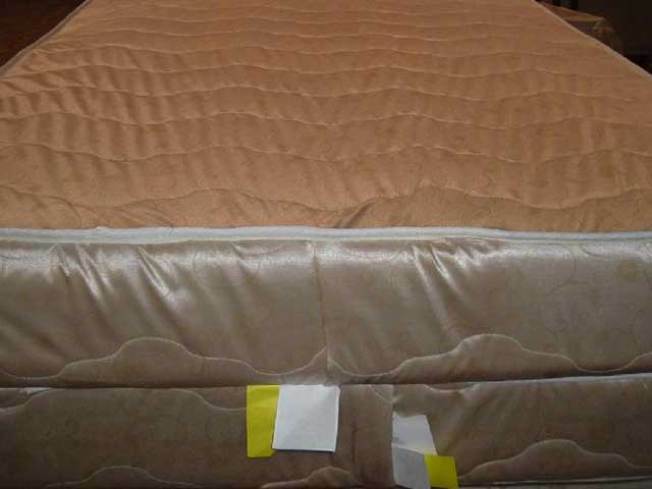 In 2009, state officials investigated Elianna Bedding and found that it sold mattresses that had not been sanitized at a New Haven discount furniture store and the attached tags did not comply with state law, according to the Department of Consumer Protection. The state revoked Elianna Bedding’s license in February, according Jerry Farrell, commissioner of the DCPC said, but a routine store inspection in July showed that 107 more illegal Elianna Bedding products were for sale at Teddie’s, a retail store in Bridgeport. “Throughout the past nine months, the Department of Consumer Protection made attempts to encourage this dealer to clean up its operations, pay appropriate penalties, and get its license reinstated, but our efforts were unsuccessful,” Farrell said. “While we pursue legal action, I encourage any consumer who has bought a mattress since February 2010 in Connecticut with the Elianna label, to return it to the place of purchase for a refund,” Farrell said. Farrell urges consumers who know where any other Elianna Bedding products are or were sold, to call the Department at 860-713-6122.